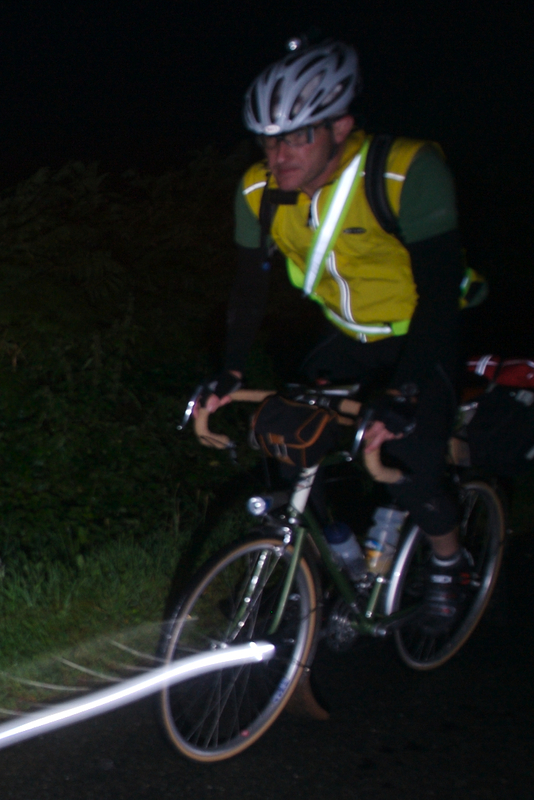 Paris-Brest-Paris: four days on the bike, four years to talk about it. Gregg Bleakney has added to the bonfire with his new site PBP Photos. You’ll recall he’s the photographer who prowled the course via motorcycle and took amazing photos. You can look for yourself in his galleries and download, and Gregg is asking only for a donation. I’d say his photos are as good as or superior to Maindru Photos, the official PBP photo provider. Here are photos of Justin Castillo at the finish and yours truly, trying to get to Loudeac on the outbound leg with the 84-hour group. Justin emailed me that the shot captures how he felt. For someone who just finished PBP, I’d say Justin looks great.